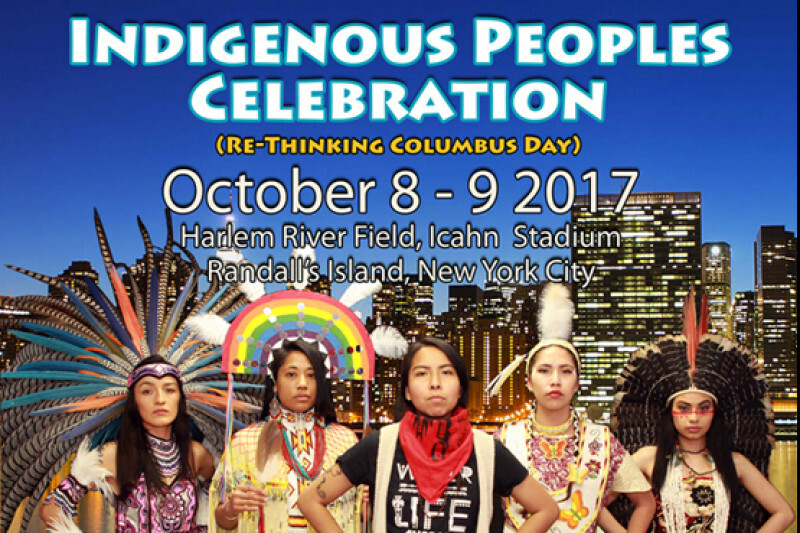 The Indigenous Peoples Celebration of New York City is seeking funds for its third annual FREE gathering on Randall's Island, which will take place over two days on October 7th and 8th and will feature many indigenous performers and speakers. As always, we throw this event to honor and celebrate the Indigenous Peoples of this country. We also throw this event to highlight and support the current national movement to change outdated holidays and monuments honoring figures who brought harm on vulnerable populations. Specifically, we support and propose that Columbus Day be changed to Indigenous Peoples Day in New York City and that all monuments honoring Columbus be removed, as honoring this man is rooted in inaccuracy and celebrates a tragic history of genocide and violence against the Indigenous Peoples of this country. New York City’s celebration of Indigenous Peoples Day would contribute greatly to the healing of America’s indigenous community, and it would honor this community’s resilience, strength, and ongoing contributions to American culture and history. Indigenous Peoples and their voices are more important now than ever, with this community leading the way on current, urgent issues like the growing call for greater environmental awareness and protections. We will be honoring the Water Warriors of Standing Rock, Split Rock, and the Water is Life movement. Sign our petition to ask New York City to join Los Angeles, Seattle, Phoenix, Denver, Minneapolis, Portland, Sante Fe, Berkeley, Rapid City, Madison, and many others cities who recognize that now is the time to change Columbus Day to Indigenous Peoples Day. Please help us raise funds to support this free community event as we gather on Randall's Island for two days to celebrate Indigenous Cultures. I truly believe that Native Americans definitely deserve to celebrate their cultures and traditions in New York City, just like every other culture in New York. Native Americans have been oppressed for too many centuries, and deserve a lot more justice, respect, tolerance, and appreciation. At the same time, as an Italian American myself, I also truly believe that Italians should be able to celebrate their cultures and traditions here in New York City. I believe that they should not be celebrating our parade in honor of a figure like Christopher Columbus, a Native American murderer. Italians should rearrange their parade/celebration to the Feast of San Gennaro, not in honor of a murderer of a race of people. Could never understand why this was even a holiday.